As they did in the AR carbine market, Springfield comes late to the AR Pistol market BUT BLOWS THE COMPETITION AWAY IN VALUE AND FEATURES! The SAINT™ AR-15 Pistol in 223 Remington/5.56 NATO harnesses the power of the battle-proven round for more capability and versatility in a compact platform. 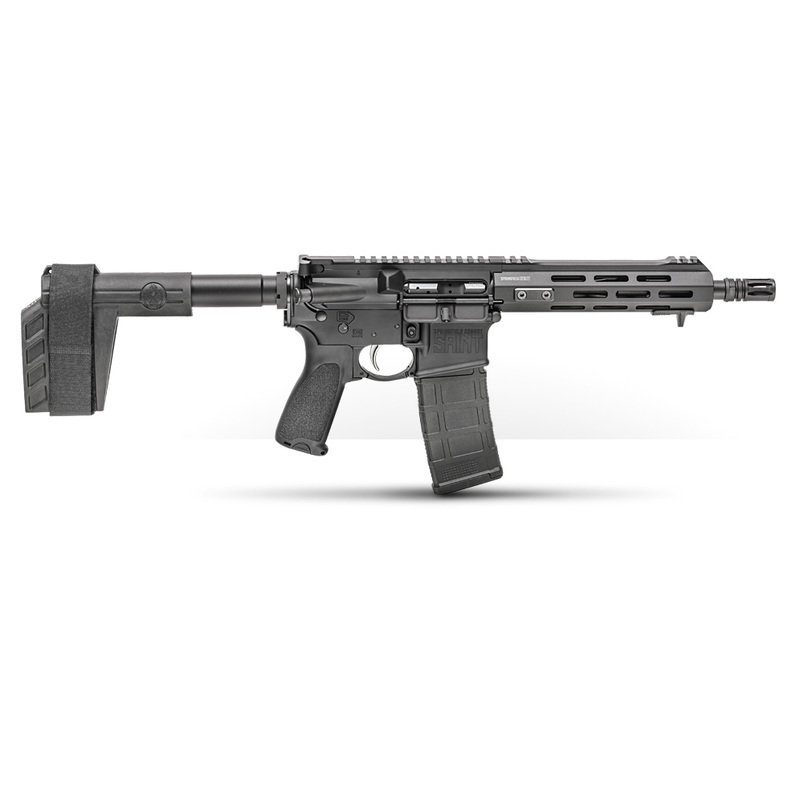 Complete with a rugged SB Tactical SBX-K forearm brace and a 7.5-inch Melonite® treated CMV barrel, the SAINT AR-15 Pistol is small, fast, and ideal for CQB. The patent-pending free float handguard design, nickel boron-coated GI single-stage trigger, pinned, low-profile adjustable gas block and exclusive Accu-Tite™ tension system complete this compact, combat-grade package. The compact design is the perfect complement to the 223 Remington/5.56 NATO round making the SAINT AR-15 Pistol an ideal choice for home defense. 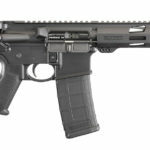 At just 26.5 inches long, and weighing only 5.5 pounds, this new AR pistol in 223 Remington/5.56 NATO from Springfield Armory® delivers a lot of power in a small, fast-handling package. BEST VALUE IN AR “PISTOLS”! As they did in the AR carbine market, Springfield comes late to the AR Pistol market BUT BLOWS THE COMPETITION AWAY IN VALUE AND FEATURES! The SAINT™ AR-15 Pistol in .300 BLK harnesses the power of the battle-proven round for more capability and versatility in a compact platform. 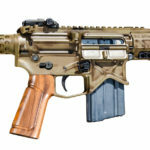 Complete with a rugged SB Tactical SBX-K forearm brace and a 9-inch Melonite® treated CMV barrel, the SAINT AR-15 Pistol is small, fast, and ideal for CQB. The patent-pending free float handguard design, nickel boron-coated GI single-stage trigger, pinned, low-profile adjustable gas block and exclusive Accu-Tite™ tension system complete this compact, combat-grade package. The compact design is the perfect complement to the .300 BLK round making the SAINT AR-15 Pistol an ideal choice for home defense. At just 27.75 inches long, and weighing only 5.9 pounds, this new AR pistol in .300 BLK from Springfield Armory® delivers a lot of power in a small, fast-handling package. Features: Piston. 3 Position Brace. MLock Rail. The most anticipated latest version of Sig MCX 300 Blackout Pistol! Sig’s MCX Rattler is thin, agile and precise. 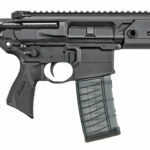 It features a 3-position telescoping pistol brace for stability and easy concealment, a 5.5″ carbon steel barrel, and free-floating M-LOK handguards. The MCX Rattler PSB is the ideal choice for fast-moving operators. 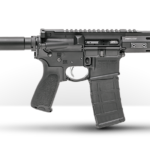 A great candidate to re-register as a Short Barrel Rifle but you can have all the fun from day one as it is a Class 1 pistol (no SBR paperwork)!